Frog on Leaf with holes Cameo Cufflinks set in 950 silver, rhodium plated. 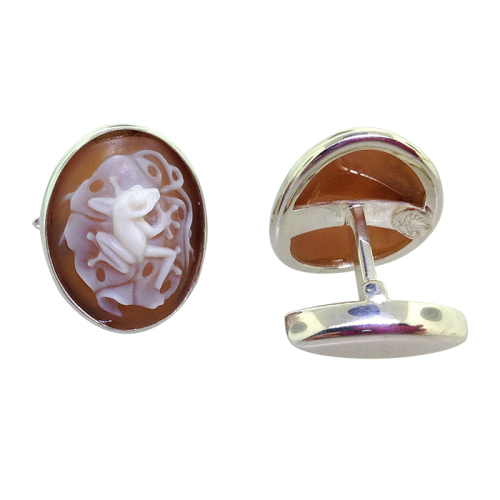 Frog on Leaf with Holes Cameo Cufflinks, set in 950 silver, rhodium plated. Registry #2365/#2366, 22 mm/22 mm ovals. Artist signed originals. 100% handcrafted in Panama. Sold with a Certificate of Authenticity. Eco-friendly, Fair Trade.